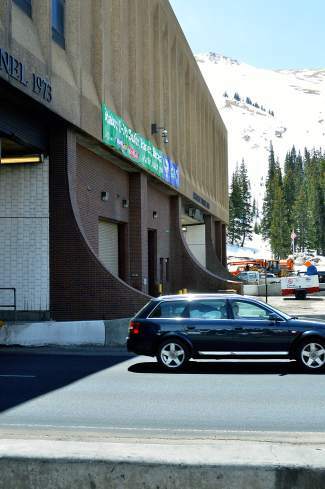 The tunnels, at 11,155 feet above sea level, see about 28,000 vehicles per day. About 18,000 feet of pipe run through the tunnels' ventilation areas, located just above each bore. 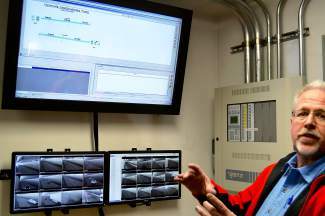 Screens show traffic, as well as information about boilers and fire pumps in the tunnel. 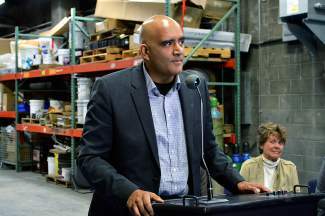 Colorado Department of Transportation Executive Director Shailen Bhatt celebrated the completion of the new fire-suppression system in the Eisenhower-Johnson Memorial Tunnels. 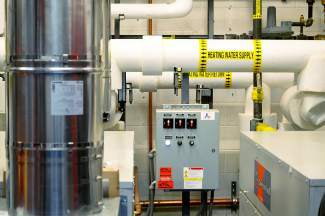 The new fire suppression system is designed to circulate hot water through the Eisenhower-Johnson Memorial Tunnels. Heat sensors at the top of each bore detect a fire, and direct the water to overhead sprinklers. Steve Rondinelli, president of BCER Group Engineering, said he would present the fire suppression system at a tunnel symposium in Amsterdam. The system is the first of its kind in the U.S. 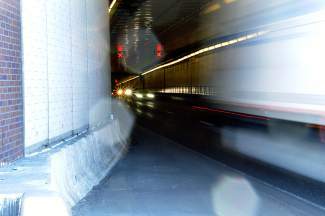 The Eisenhower-Johnson Memorial Tunnels are a lifeline connecting Western Colorado to the Front Range. Each bore extends about 1.7 miles. 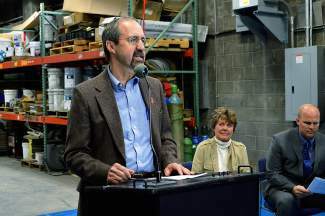 John Cater, Colorado Division Administrator for the Federal Highway Administration, explained the competitive process for obtaining federal grant money to support the project. CDOT Regional Trasportation Director Paul Jesaitis explained the economic and safety value of the fire suppression system. 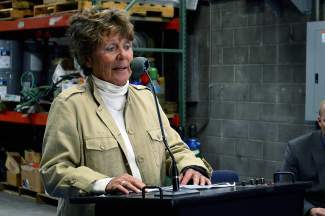 Colorado Transportation Commission Chairwoman Kathy Connell thanked the state for their support in helping launch the project. Thousands of feet of pipe snake through the ventilation air ducts above the Eisenhower-Johnson Memorial Tunnels. Filled with hot, circulating water, the pipes are just one piece of the tunnels’ new, $25 million fire suppression system. 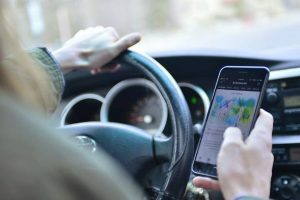 The Colorado Department of Transportation (CDOT) celebrated the completion of the project on Friday, unlike any existing fire system in the United States. 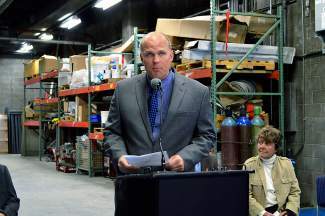 “Today marks the culmination of a lot of hard from people who work very diligently to improve the safety at this facility for the traveling public,” CDOT Region One transportation director Paul Jesaitis said. The system was officially activated on May 6, following just 16 months of design and construction. The final piece of the installation was testing — specifically an employee holding a torch to heat sensors placed at the top of each tunnel — resulting in a sudden deluge from the overhead sprinklers and a soaked torchbearer. He added that while there has never been a fatality in the tunnels, there have been a few close calls with fires. In 2000, a motor home caught fire in the tunnel, shutting down both bores for the better part of a day. In 2011, a truck caught fire near the end of the tunnel as well. 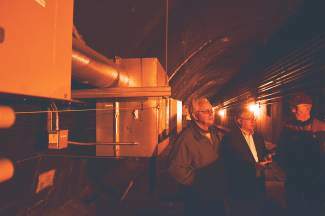 “The problem is, if you get a big fire in a tunnel, it’s burning so hot (fire personnel) can’t get in,” said Andy Granger, a superintendent with Barnard Construction Company, one of the project contractors. 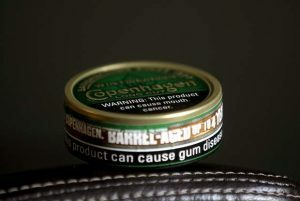 The goal, he said, is to reduce a fire from 1,000 degrees Fahrenheit to 200 degrees, so it can be safely extinguished. The system isn’t designed to fully extinguish large fires because if a fuel tank ruptured, the water would then spread the fuel all over the road. Steve Rondinelli, president of BCER Group Engineering, said there were two main challenges to the project: developing a system that would suppress fire, and keeping water from freezing while traveling through nearly two miles of pipe at an elevation of 11,000 feet. The water is brought up from an existing tank below the tunnels, and heated to about 110 degrees Fahrenheit in a set of boilers before in begins to travel around the loop in a six-inch insulated pipe. Because the water is constantly moving, kept at a warm temperature, it is less likely to freeze and is immediately available in the event of a fire. Throughout the tunnels’ dark corridors, a total of 18,000 feet of insulated pipe was installed, capable of carrying about 30,000 gallons of water. Once a fire is detected, water is diverted to the closest sprinklers and released into the tunnel below. “All of this is completely automated,” Miller added. 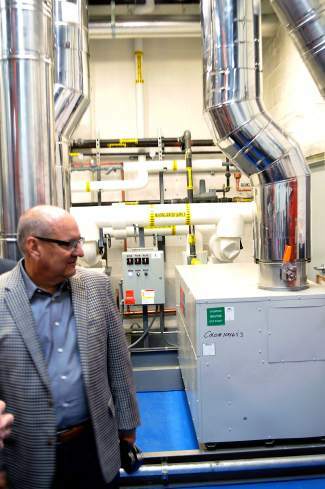 Work to the fire suppression system began after the Colorado Department of Labor and Employment dedicated $5 million in seed money through the Petroleum Cleanup and Redevelopment Fund. But the $25 million project still needed much more support to operate. 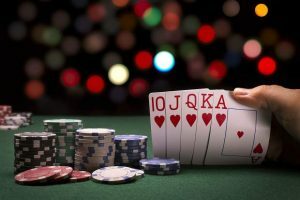 $10 million of the project was funded nationally, after it receive a grant through the Federal Highway Administration’s Transportation Investment Generating Economic Recovery (TIGER) program. 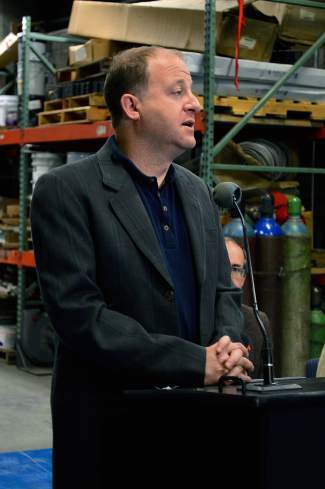 Colorado District 2 Congressman Jared Polis worked to gain federal support for the project through writing letters, filling out grant application, and even talking to the president. The remaining cost was covered through Colorado Department of Transportation programs, including $9 million from the Responsible Acceleration of Maintenance and Partnerships (RAMP) program, and $1 million from the Funding Advancement for the Surface Transportation and Economic Recovery (FASTER) safety program.